Whenever a creature deals damage to you, put a gold counter on it. Each creature with a gold counter on it has defender. (Those creatures can't attack.) 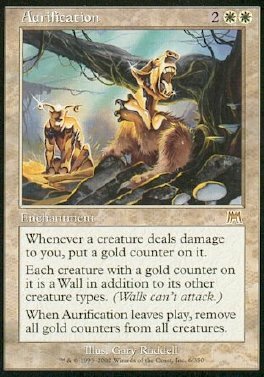 When Aurification leaves play, remove all gold counters from all creatures.